The Borsat IV Apartments offer both easy access to the slopes and the village shops. These great value apartments are comfortably furnished and make a great base for families and groups seeking a self-catering break. 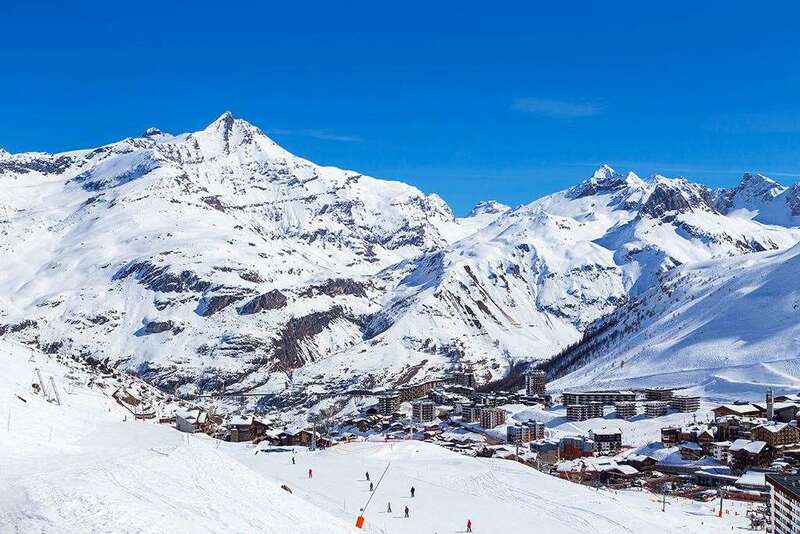 Location: Location upper area of Val Claret with skiing to the doorstep and the nearest shops, restaurants and bars about 2 minutes’ walk away (200m). All apartments have kitchenette with microwave, fridge, dishwasher, bathroom and balcony. Studio Apartment (A4) 23m² – sleeps 2-4 Living room with two single sofa beds and bedroom separated by moveable partition with a single and pull-out bed. Studios on higher floor with views, (type B4) are available. Studio Apartment (D6) 26m² – sleeps 2-5 Living room with a single sofa bed and bunk beds and bedroom separated by moveable partition with bunk beds. 2-room Apartment (C6) 34m² – sleeps 4-6 Living room with a single and pull-out bed in each half separated by a sliding partition and a double bedroom. Included Bed linen and resort tax. Nice, small apartment, fine for four, as long as you don't expect any extra floor space. The skiing was great, even in April, and the transfer all happened very smoothly. Val Claret is tiny, so really easy to get to shops, ski hire, ski classes. Very friendly folks at the apartments, and a lovely, holiday for families. Wasn't too impressed with the Evolution 2 ski classes though. After reading various trip advisor reviews I was expecting very little from this apartment but we were very pleasantly surprised. We stayed in a 6 person apartment with 4 of us and there was lots of room. One night we had 8 people eating at our dining table comfortably. The apartment was nice and clean and ample room. The ski locker was very good although we only had one key which was a bit frustrating. The Apres ski was good, expensive but no more than any other ski resort. We recommend the Folie Douce from 3-4.30pm before making sure you get the last lift back over to Tignes. One other recommendation - check the French school holidays! It is BUSY if they are on holiday!